The following grade table is taken from the Rockfax web site. 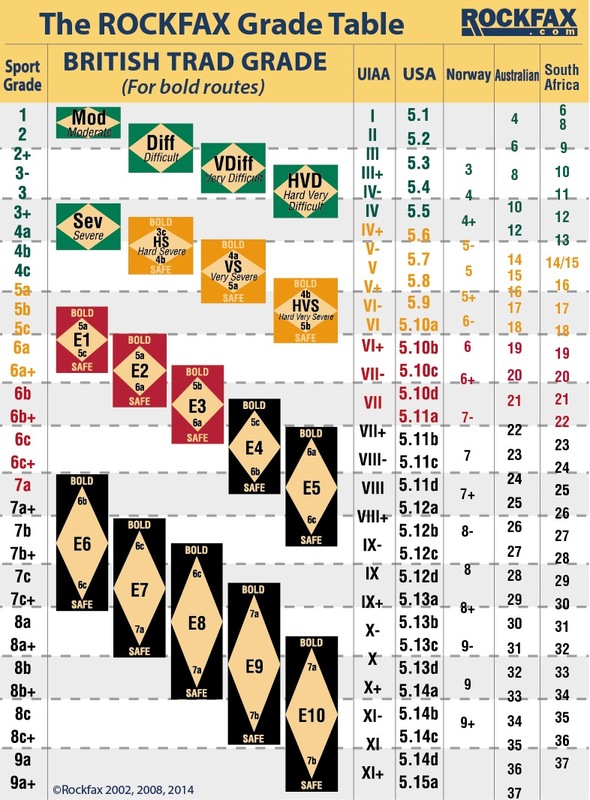 This table makes an attempt at comparing the British E-grade with other grading systems. There is much more about the British grading system on the Rockfax web site, including a high quality PDF version of this table, plus adapted tables for Safe Routes and Bouldering Grades. You can also read more about the UK Grading system and also on the Rockfax web site.